Please visit this webpage regularly to view photographs and work. 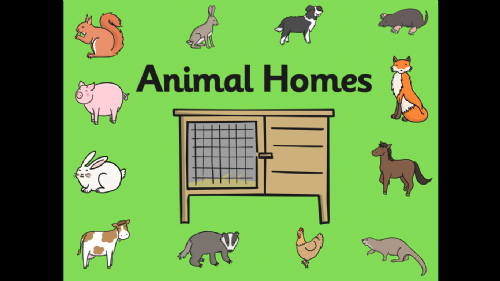 Our topic for this half term is 'Animal Homes.' The children will be learning about animal habitats. We will be exploring the local environment to spot animal habitats and then investigating animal habitats around the world! Mathletics Login to complete homework tasks. Try out some of the games too! Oxford Reading Owls eBooks and activities to help you support your child's reading and maths at home. Topmarks Games and activities covering all areas of the curriculum! The Great Fire of London Listen to the story of the Great Fire of London and take part in the game as you go along! Samuel Pepys and the Great Fire of London Interactive story following Samuel Pepys during the Great Fire. Includes a drag and drop sequencing activity. BBC Schools Science clips - Light and dark Lots of fun activities to help your child to learn more about light and dark. Number bonds! Practise making pairs of numbers that total 5, 10 and for a challenge, 100! Save the Whale! Save the whale by making number pairs! Maths Games Lots of maths games covering all operations! National Geographic Kids Search for your favourite animal! WWF Lots of information about animals around the world!